Gears of War is one of the best video game franchises out there. Currently, it counts with four entries for the Xbox 360 and a remake of the first game, recently released, for the Xbox One. The games are not only brilliant shooters, but also feature some remarkable creatures. My favorite one is the serapede (Fig. 1). Its name, obviously, comes from Sera (the planet where the games take place) and centipede (the animal on which the creature was clearly based). They were described as “15 ft. long centipede[s] you see in ‘50s horror flicks” (Gearspedia, 2015). Figure 1. A serapede (original model from the game). Serapedes are used in combat by the Locust Horde, due to their awesome abilities (Gearspedia, 2015). For starters, they have a gigantic size (in the games they seem to be ca. 3 m long, though the Gearspedia gives 15 ft., which is roughly 4.5 m) and strong pincers to chop poor soft-bodied human soldiers. Moreover, they have steel-like carapaces – a bulletproof armor, if you will. If that was not enough, they can spray acidic poison from their mouths. Last but not least, they can, as the game tells you, “shoot lightning” from their pincers; to put it less dramatically, it is an electric discharge. Here I will investigate if, from a biological and paleontological perspective, serapedes could possibly exist. I can say in advance that the answer is “partly” and I will explain why for each of the four serapede features/abilities: gigantic size, heavy armor, acid/poison spray and electric discharge. But first, we will need a primer about real-world centipedes and similar animals, the group called Myriapoda. For those familiar with biological classification, it is enough to say that the subphylum Myriapoda belongs in the phylum Arthropoda. Now in English, it means that myriapods are a sub-group of arthropods. Arthropods are the most diverse group of animals on Earth and, myriapods aside, they include crustaceans, hexapods (insects and some wingless creepy crawlers), chelicerates (arachnids and some strange creatures) and the extinct trilobites. The myriapods count with over 13,000 living species, all terrestrial (Waggoner, 1996). As a matter of fact, the fossil millipede Pneumodesmus newmani, is the first terrestrial animal we know of (Wilson & Anderson, 2014). It dates from the middle of the Silurian Period (ca. 428 million years ago). Myriapods are divided into four classes: Chilopoda, Diplopoda, Symphyla, and Pauropoda (Fig. 2). A fifth class is known from fossils only and it is called Arthropleuridea (I’ll come back to it later). Chilopods are the centipedes. Diplopods are the millipedes. Symphylans are commonly known as “pseudocentipedes”, since they closely resemble centipedes, but are much smaller and translucent. Pauropods are more closely-related to millipedes and look somewhat like very short versions of them (although some can look more like centipedes). That’s all very cool, but what is the difference between a centi- and a millipede? By their names alone, one can imagine that the former has a hundred feet, while the latter has a thousand. Of course, these names are merely a useful simplification and reminder, but centipedes have less feet (actually, legs) than millipedes. The “leggiest” animal of all is a millipede: with 750 pairs of legs, Illacme plenipes, from California, which is just 3–4 cm long (Marek & Bond, 2006; Marek et al., 2012). The true difference, however, lies in how many legs they have per body segment. Each segment of centipedes has a single pair of legs, while each segment of millipedes has two pairs. 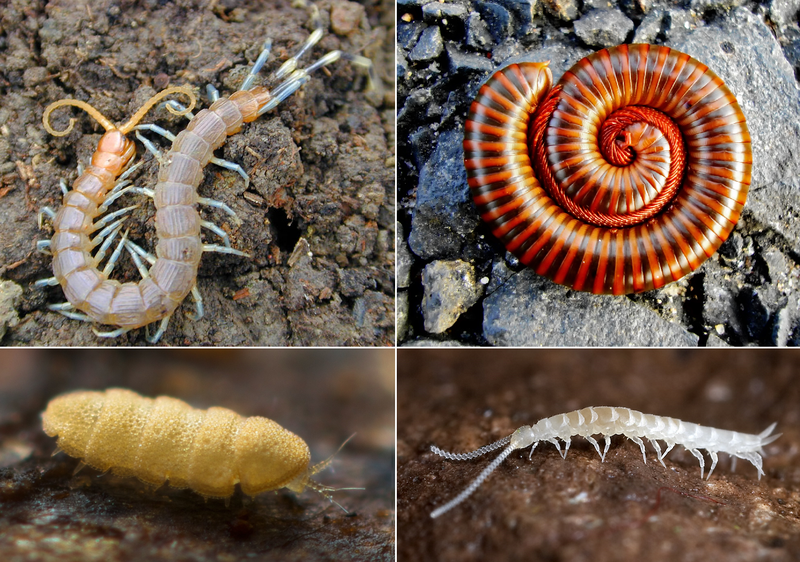 Other useful feature to distinguish them is their overall shape: centipedes tend to have flattened agile bodies, while millipedes have a more worm-like look. Just to finish this whole Biology lesson, the agile serapedes are clearly related to the centipedes: they have a flattened body, few legs and a single pair of legs per body segment. We already knew that, of course, and now we can proceed to analyze its features and abilities. Among the extant myriapod species, the largest one is called the “Peruvian giant yellow-leg centipede” or “Amazonian giant centipede”; its scientific name is Scolopendra gigantea. It lives in South America (not in Peru, despite its common name), in Colombia, Venezuela, Aruba and Curaçao, and may reach up to 30 cm in length (Shelley & Kisser, 2000). Although this is very large for a centipede, it is nowhere close to the serapede. However, as alluded to above, there is a fifth class of myriapods, called Arthropleuridea. This class is today completely extinct, meaning it is known only from fossils. One genus of this class is called Arthropleura, which encompasses five species. Based on the fossil record, we known that species of Arthropleura could reach up to 2.5 m in length (Fig. 3). 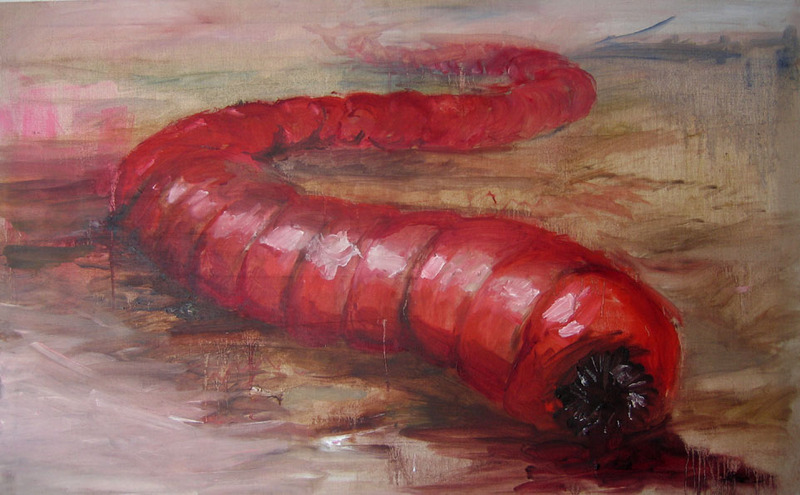 Therefore, it is not only the largest known centipede, but the very largest land invertebrate. (The largest invertebrate overall is the giant squid Architeuthis, which may reach 18 m in length due to its long tentacles; Salvador & Tomotani, 2014.). The giant size of these fossil species has to do with their respiration. Myriapods and insects have a tracheal respiratory system, which is independent of the circulatory system. This means that the tracheas deliver air directly to the muscles, tissues and organs. These animals nowadays are restricted in size because of this type of respiratory system. 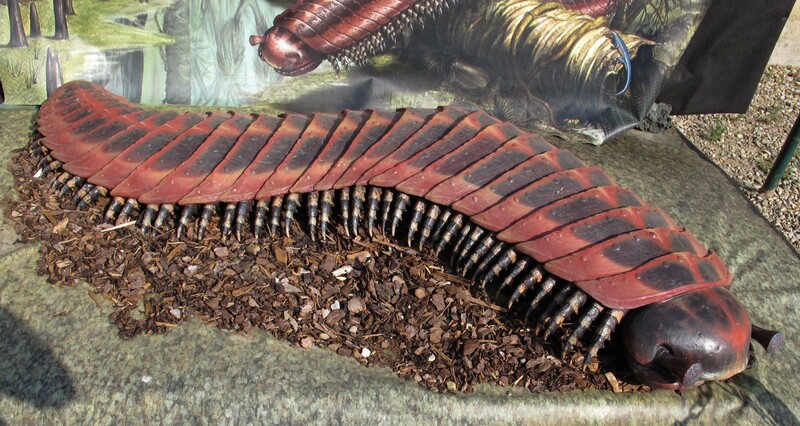 Arthropleura species, however, lived in the Carboniferous Period (359 to 290 million years ago), when oxygen concentration in the planet’s atmosphere reached 35% (Dudley, 1998). That is a lot compared to today’s oxygen concentration of 20.9%. So much oxygen on the atmosphere allowed for a more efficient tracheal respiration and thus, for gigantic sizes. Gigantism is also found in other animal groups during the Carboniferous, such as amphibians (who are greatly dependable on cutaneous respiration), arachnids and insects. The extinct insect order called Meganisoptera deserves a little more attention. They are related to modern dragonflies (order Odonata) and, to prove they are more awesome than their living relatives, they are known as “griffinflies”. Species of the griffinfly genus Meganeura could reach up to 70 cm of wingspan (Grimaldi & Engel, 2005). So, for serapedes to achieve a gigantic size, the atmosphere of the planet Sera would have to be very rich in oxygen, much like that of our own planet’s during the Carboniferous Period. If Sera has such high levels of oxygen, this could also explain the gigantic size of the muscles of the human characters in Gears of War. Really, just take a look at Cole, for instance (Fig. 4). Figure 4. Pvt. Augustus Cole, a.k.a. “the Cole Train” (original model from the game). As remarked before, serapedes have a bulletproof exoskeleton. We are told that a serapede “protects itself from victims with its plated back, making it vulnerable only to shots from behind; to totally exterminate the bug, humans have to shoot it apart one abdomen [sic; abdominal segment] at a time” (Gearspedia, 2015). That means the serapede’s only vulnerable point is their “tail” segment (last abdominal segment), in a classic example of video-game convenience. The exoskeleton of all living arthropods is made of chitin, which is a modified polysaccharide derivative of glucose. It is mixed up with a protein matrix of sclerotin, which makes the exoskeleton hard but flexible. Crustaceans (including terrestrial forms) are the only living arthropods which can have mineral calcium carbonate (and sometimes also calcium phosphate) in their exoskeletons, making it even harder and simultaneously “cheaper” to produce (Vincent, 1990; Wilmot, 1990; Cohen, 2005). 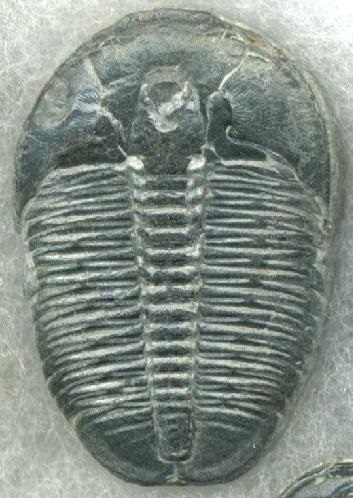 But in terms of exoskeleton mineralization, no living arthropod can beat the fossil trilobites (Fig. 5). Their carapace was made up of small amounts of chitin and protein and a comparatively huge amount of calcium carbonate (calcite) and calcium phosphate (Wilmot, 1990; Fortey, 2001). The trilobites’ body armor would not only be resistant to cracking, but also (due to its protein matrix) would slow down the progress of fractures (Wilmot, 1990). But even with such amazing armor, there were predators going after them (their bellies were soft, after all). So, if the trilobite was injured and survived, it could heal its carapace, leaving a scar behind (Pratt, 1998). Trilobites could grow to large sizes. The largest one, Isotelus rex, from the Ordovician of Canada (roughly 460 million years ago), could reach over 70 cm in body length (Rudkin et al., 2003). Of course, all trilobites are marine creatures and their heavy carapace was mostly supported by the surrounding water. Carrying such a heavy armor on land, as the serapede does, would be problematic. There is no land trilobite we know of, but there is an animal group with calcium carbonate armor and species living both underwater and on land: the snails. Snails are mollusks (phylum Mollusca) and are the second most diverse group of animals after the arthropods. They have a soft body, but are protected by beautiful shells made of a matrix of chitin and the protein conchiolin, hardened by a generous amount of calcium carbonate. Marine snails can also achieve very large sizes: the record-holding species, at 90 cm of shell length, are the extant Syrinx aruanus (also known as “Australian trumpet”) and the fossil Campanile giganteum, from the Eocene of France (McClain, 2014). A trilobite carapace was usually rather thin, but a marine snail’s shell can be really thick and heavy (the shell of Syrinx aruanus can weight nearly 2 kg). As already remarked, living underwater facilitates carrying such heavy shells. A land snail, on the other hand, would never be able to hold up and carry a shell weighting a few kilograms. The largest land snail species is the fossil Pebasiconcha immanis, from the Miocene of Colombia and Peru; its shell reaches up “only” to 26 cm in length (Wesselingh & Gittenberger, 1999). In conclusion, a marine version of the serapede could have a very though calcified “bulletproof” trilobite-like armor, but the regular terrestrial serapede would definitely not be able to carry it. Finally, the carapace of the serapede is said to be “steel-like” (Gearspedia, 2015) and we can see it is rather shiny and metallic (Fig. 1). There is only a single living animal known to have an exoskeleton made of metal and, once again, it’s a snail. Chrysomallon squamiferum (Fig. 6), also known as the “scaly-foot gastropod” (although I personally prefer the name “iron snail”), lives around deep-sea hydrothermal vents of the Indian Ocean (Chen et al., 2015). The snail’s soft body is covered in iron spikes and, more importantly, the outer layer of its shell is made of iron sulphides (mainly the minerals greigite and pyrite). The remaining shell layers are made of calcium carbonate and proteins, as usual. This is an actual armor and, of course, the USA military are already funding research to discover how this shell actually works (Yao et al., 2010). So, could a serapede (or any myriapod, for that matter) have an iron-plated carapace? Well, no. Besides the weight problem discussed above, Chrysomallon squamiferum gathers its iron from the hot vents. (Curiously, a separate population of Chrysomallon squamiferum that lives near iron-poor vents have completely iron-free white shells and spikes.) Serapedes/ centipedes would be hard-pressed to find an environment on land with iron sulphides available in a similar way. Other iron sulphide-rich environments would still be aquatic, namely the bottom of some mangroves, swamps and estuaries (Thomas et al., 2003). But there would be three problems: (1) there are no aquatic myriapods; (2) the iron compounds oxidize quickly when exposed to the atmospheric oxygen; (3) even if a myriapod managed to live in such environment and use its iron compounds, it probably would not be enough to cover its entire carapace (the hot vents where the iron snail lives release a much higher amount of these compounds). Centipedes are mainly carnivorous, and very efficient hunters to boot. They rely on a pair of appendages near their mouth to inject venom on their prey. These appendages look like pincers and are called “forcipules”; the venom can either paralyze or outright kill the prey (Lewis, 1981). It is a very big letdown that the Carboniferous giant Arthropleura apparently were not predators; instead, they would have been herbivorous, feeding on pteridophytes (Scott et al., 1985). But do not fret, centipede venom is not lethal for humans (Bush et al, 2001). Serapedes, on the other hand, can be very lethal indeed. Instead of delivering the venom through their forcipules (which they do seem to have; see Fig. 1), serapedes can spit a poisonous spray. In a very “Dungeons & Dragonesque” way, such spray is not only poisonous, but also acidic. No living centipede (or myriapod) can shoot an acid spray. Some insects, however, can. For instance, wood ants (of the Formica rufa group) can spray formic acid from their abdomen up to 12 cm away (Löfqvist, 1977). The devil-rider stick insects (genus Anisomorpha) can shoot terpenes from glands on their thorax (Meinwald et al., 1962). Last but not least, the beetle family Carabidae have a plethora of noxious sprays (Moore, 1979). Oogpister beetles (genus Anthia), for instance, can spray formic acid from their abdomen; they supposedly get their acid by eating ants. The more famous bombardier beetles (e.g., the genera Brachinus and Stenaptinus) can shoot a spray made up of two substances (hydroquinone and hydrogen peroxide) stored in two distinct compartments in their abdomen (Fig. 7). When these substances combine, an exothermic reaction occurs, generating so much heat that it brings the beetle’s spray to almost 100 °C (Aneshansley et al., 1969; Eisner & Aneshansley, 1999). If such ability can evolve multiple times in separate insect lineages, it is not so farfetched that it could also arise in centipedes. Or, more specifically, in serapedes. If the combination “acid + venom” seems too much weaponry for a single animal, please remember that each species of Conus snails has a cocktail made of up to 200 different toxins in order to daze, confuse, paralyze, shock and kill their prey (Oliveira & Teichert, 2007; Scales, 2015). The final ability of the serapede is the electrical discharge (the “shoot lightning” stuff). Serapedes are clearly terrestrial animals, while bioelectrogenesis (the capacity of living organisms to generate electricity) is only known in aquatic animals, such as the electric eels and other types of fish. These animals use electricity to stun their prey, thwart aggressors or communicate with conspecifics. Most of them (as well as other aquatic animals, such as rays, sharks and platypuses) also have the ability to detect electrical stimuli, called electroreception. Electroreception is known among a few terrestrial animals: the echidna (which descend from an aquatic ancestor, in any case) and some fully terrestrial species of insects. As said before, no land animal can produce an electrical discharge, but there is a single curious case of electricity generation: the Oriental hornet (Vespa orientalis; Fig. 8). This insect actually converts sunlight into electricity. 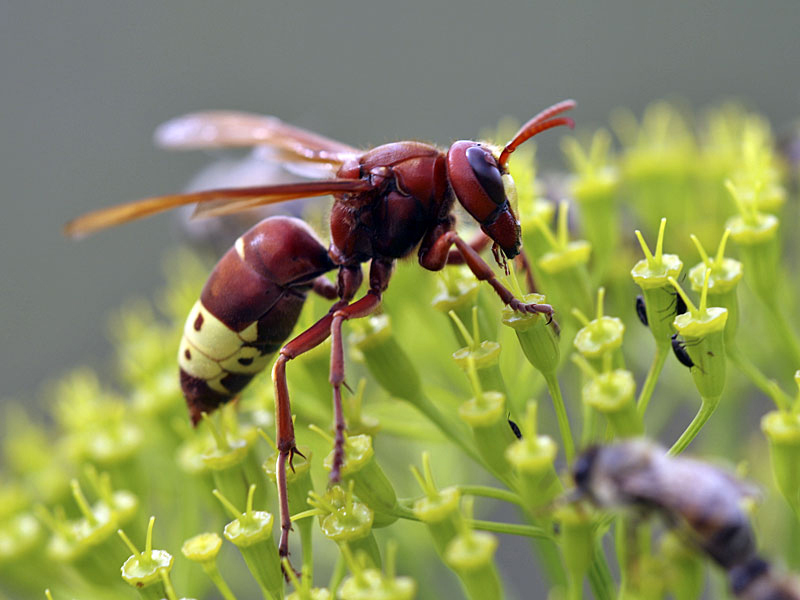 However, it is not yet clearly known how the hornets use this on their daily lives (Ishay et al., 1992), although some researchers have suggested that it might give them extra energy for either flying or digging (Ishay, 2004; Plotkin et al., 2010). If this is the case, these insects are effectively partly solar-powered. Insects and myriapods, as already explained above, are related groups and thus share many physiological traits. However, given that electricity generation in terrestrial insects is extremely rare (we only know the Oriental hornet from a million of described insect species), we should not expect that such trait would evolve easily in myriapods. Regardless, a huge and heavily-armored creature such as a serapede would indeed benefit from the extra energy of solar-powered electricity. Too bad they live underground, though, in the tunnels of the Locust Horde. Leaving the realm of Biology and entering the mythological domain, there is one legendary beast that uses electricity as a weapon and is not aquatic. We will explore it below. 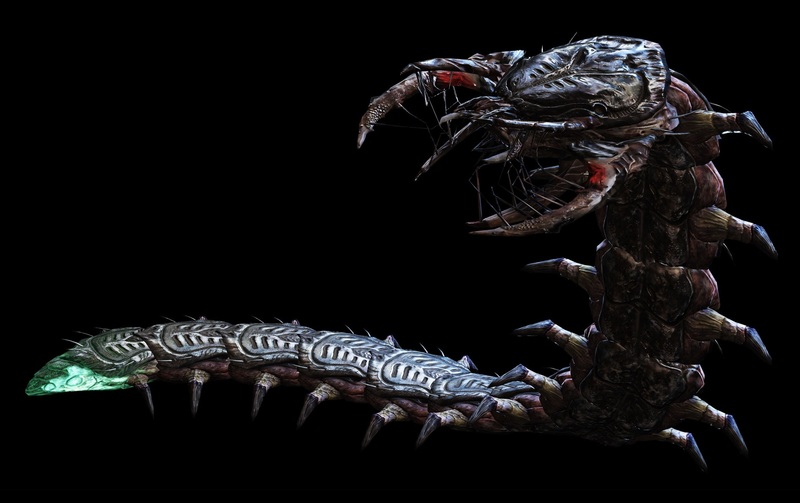 According to the Gearspedia (2015), the Death Worm is the possible inspiration for the Serapede. This is speculation due to the monster’s unusual combination of acid and electricity. We lack any actual statement of the games’ developers to say for certain (they did not answer me, by the way). However, the serapede’s visual (and name) is clearly based on real centipedes. So, rather than being a “Heavy Metal” incarnation of the Mongolian Worm, the serapede seems to be basically a centipede given superpowers. So, to wrap things up, a serapede is actually partly biologically possible. Its huge size is feasible, but should come along with an increased oxygen concentration in the atmosphere. The poison/acid spray is rather common in arthropods, so it should not be a problem either. Its bulletproof armor, however, would be way too heavy a burden to carry on land and iron-plating on land is simply impossible. Finally, electricity-generating capabilities are extremely unlikely on land, given that it is known only in a single species. Despite looking like B movie stuff, it should be granted that serapedes are much closer to biological reality than many supposedly “scientifically accurate” Sci-Fi out there. In any event, regardless of their feasibility, serapedes are one of the most awesome monsters in recent gaming history. Better yet, it is a playable monster, so we can use it to wreak havoc amidst the humans’ ranks. I am very grateful to Daniel C. Cavallari (MZSP) for the reference on the world’s largest marine snails and his revision of the text. Aneshansley, D.J. ; Eisner, T.; Widom, J.M. ; Widom, B. (1969) Biochemistry at 100 °C: explosive secretory discharge of bombardier beetles (Brachinus). Science 165: 61–63. Bush, S.P. ; King, B.O. ; Norris, R.L. ; Stockwell, S.A. (2001) Centipede envenomation. Wilderness & Environmental Medicine 12(2): 93–99. Chen C.; Linse, K.; Copley, J.T. 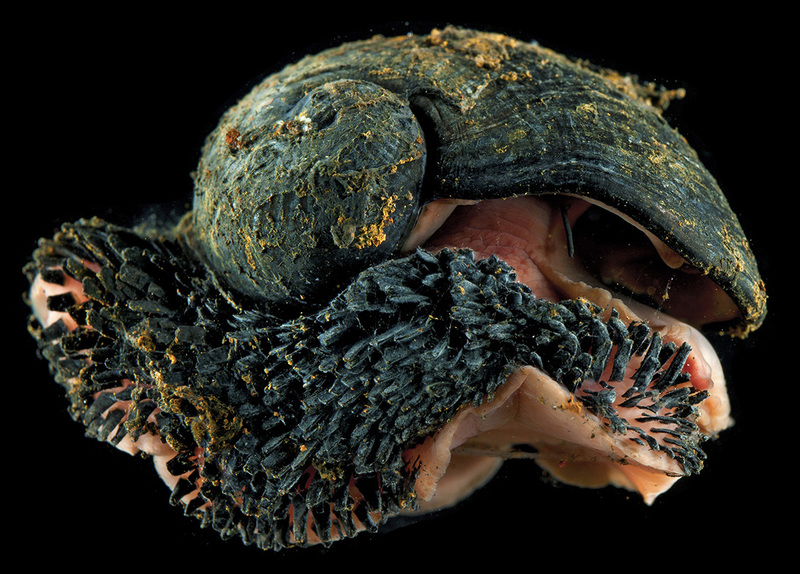 ; Rogers, A.D. (2015) The ‘scaly-foot gastropod’: a new genus and species of hydrothermal vent-endemic gastropod (Neomphalina: Peltospiridae) from the Indian Ocean. Journal of Molluscan Studies 81: 322–334. Cohen, B.L. (2005) Not armour, but biomechanics, ecological opportunity and increased fecundity as keys to the origin and expansion of the mineralized benthic metazoan fauna. Biological Journal of the Linnaean Society 85(4): 483–490. Dudley, R. (1998) Atmospheric oxygen, giant Paleozoic insects and the evolution of aerial locomotor performance. Journal of Experimental Biology 201: 1043–1050. Eisner, T. & Aneshansley, D.J. 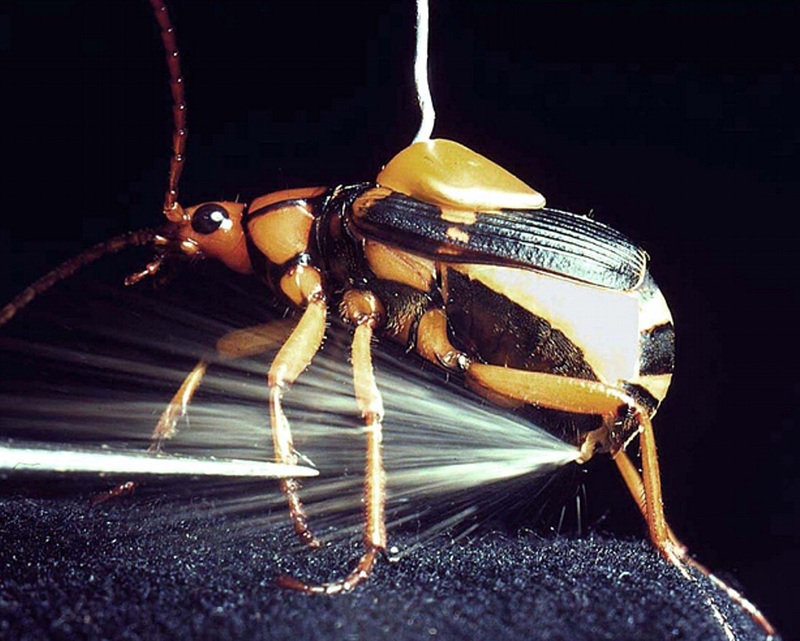 (1999) Spray aiming in the bombardier beetle: photographic evidence. Proceedings of the National Academy of Sciences 96: 9705–9709. Fortey, R. (2001) Trilobite: Eyewitness to Evolution. Vintage Books, New York. Gearspedia. (2015) Serapede. 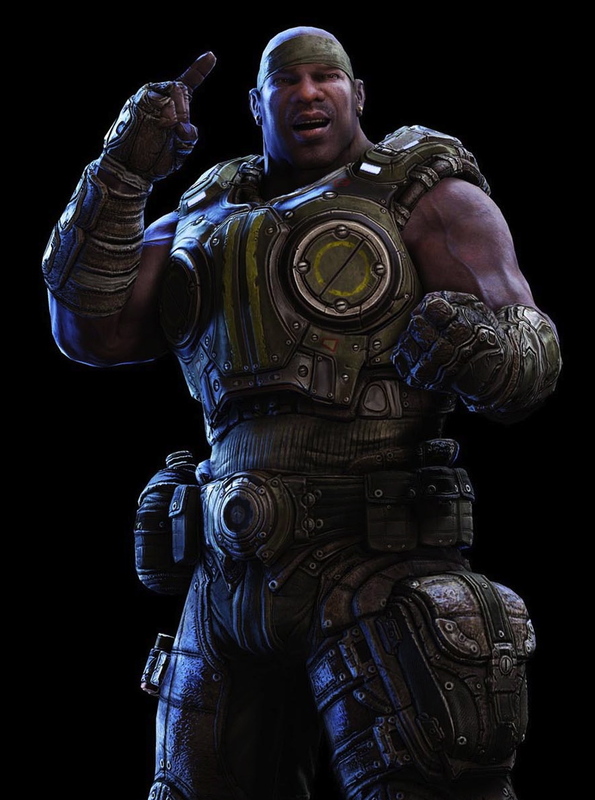 Available from: http://gearsofwar.wikia.com/wiki/Gears_of_War_Wiki (Date of access: 19/Sep/2015). Grimaldi, D. & Engel, M.S. (2005) Evolution of the Insects. Cambridge University Press, Cambridge. Ishay, J.S. (2004) Hornet flight is generated by sunlight energy: U.V. irradiation counteracts anesthetic effects. Journal of Electron Microscopy 53: 623–633. Ishay, J.S. ; Benshalom-Shimony, T.; Ben-Shalom, A.; Kristianpoller, N. (1992) Photovoltaic effects in the oriental hornet, Vespa orientalis. Journal of Insect Physiology 38(1): 37–48. Lewis, J.G.E. (1981) The Biology of Centipedes. Cambridge University Press, Cambridge. Löfqvist, J. (1977) Toxic properties of the chemical defence systems in the competitive ants Formica rufa and F. sanguinea. Oikos 28(1): 137–151. Marek, P.E. ; Shear, W.A. ; Bond, J.E. (2012) A redescription of the leggiest animal, the millipede Illacme plenipes, with notes on its natural history and biogeography (Diplopoda, Siphonophorida, Siphonorhinidae). ZooKeys 241: 77–112. Marek, P.E. & Bond, J.E. (2006). Biodiversity hotspots: rediscovery of the world’s leggiest animal. Nature 441(7094): 707. McClain, C. (2014) Sleuthing the largest snail. Deep Sea News. Available from: http://www.deepseanews.com/2014/05/sleuthing-the-largest-snail/ (Date of access: 20/Sep/2015). Meinwald, J.; Chadha, M.S. ; Hurst, J.J.; Eisner, I. (1962) Defense mechanisms of arthropods – IX anisomorphal, the secretion of a phasmid insect. Tetrahedron Letters 3(1): 29–33. Moore, B.P. (1979) Chemical defense in carabids and its bearing on phylogeny. In: Erwin, T.L. ; Ball, G.E. ; Whitehead, D.R. ; Halpern, A.L. (Eds.) Carabid Beetles. Their Evolution, Natural History, and Classification. Springer, The Hague. Pp. 193–203. Oliveira, B.M. & Teichert, R.W. (2007) Diversity of the neurotoxic Conus peptides. A model for concerted pharmacological discovery. Molecular Interventions 7(5): 251–260. Plotkin, M.; Hod, I.; Zaban, A.; Boden, S.A.; Bagnall, D.M. ; Galushko, D.; Bergman, D.J. (2010) Solar energy harvesting in the epicuticle of the oriental hornet (Vespa orientalis). Naturwissenschaften 97: 1067–1076. Pratt, B.R. (1998) Probable predation on Upper Cambrian trilobites and its relevance for the extinction of soft-bodied Burgess Shale-type animals. Lethaia 31: 73–88. Rudkin, D.M. ; Young, G.A. ; Elias, R.J.; Dobrzanski, E.P. (2003) The world’s biggest trilobite – Isotelus rex new species from the Upper Ordovician of northern Manitoba, Canada. Journal of Paleontology 77(1): 99–112. Scales, H. (2015) Spirals in Time: The Secret Life and Curious Afterlife of Seashells. Bloomsbury Sigma, London. Scott, A.C.; Chaloner, W.G. ; Paterson, S. (1985) Evidence of pteridophyte–arthropod interactions in the fossil record. Proceedings of the Royal Society of Edinburgh 86B: 133–140. Shelley, R.M. & Kiser, S.B. (2000) Neotype designation and a diagnostic account for the centipede, Scolopendra gigantea L. 1758, with an account of S. galapagoensis Bollman 1889 (Chilopoda Scolopendromorpha Scolopendridae). Tropical Zoology 13(1): 159–170. Thomas, B.P. ; Fitzpatrick, R.W. ; Merry, R.H.; Hicks, W.S. (2003) Acid Sulfate Soil Technical Manual (version 1.2). CSIRO Land & Water, Acton. Vincent, J.F.V. (1990) Structural biomaterials. Princeton University Press, Princeton. Waggoner, B. (1996) Introduction to the Myriapoda. University of California Press, Berkeley. Wesselingh, F.P. & Gittenberger, E. (1999) The giant Amazonian snail (Pulmonata: Acavidae) beats them all. The Veliger 42(1): 67–71. Wilmot, N.V. (1990) Biomechanics of trilobite exoskeletons. Palaeontology 33(4): 749–768. Wilson, H.M. & Anderson, L.I. (2004) Morphology and taxonomy of Paleozoic millipedes (Diplopoda: Chilognatha: Archipolypoda) from Scotland. Journal of Paleontology 78(1): 169–184. Yao, H.; Dao, M.; Imholt, T.; Huang, J.; Wheeler, K.; Suresh, S.; Ortiz, C. (2010) Protection mechanisms informed by the unique iron-plated armor of a deep-sea hydrothermal vent gastropod. PNAS 107: 987–992.